Solid Gold Holistic Delights is a big named brand, so again, you get confidence in your choice, and this particular option comes in six different flavours, including beef and coconut milk, chicken and coconut milk, crab and coconut milk, salmon and coconut milk, shrimp and coconut milk, and tuna and coconut milk – all delicious for your cat! 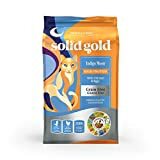 The food is gluten-free and is made of holistic grain, suitable for every age of cat, including kittens. 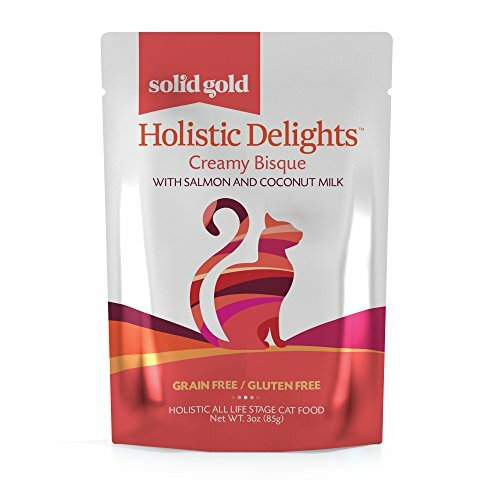 The coconut milk content helps your cat digest the food easily and gives a great calcium source, with extra vitamins and minerals added in, to give it that holistic tag. This food gives your cat a total dietary balance.